ISIS | Looking for that Blessed Hope! If you take seriously the threat of ISIS and Islam and what they are doing to the world today, you don’t want to miss this video. Gary talks again with Middle East and Islam expert Avi Lipkin. You will be surprised at what he has to say. The Islamic State of Iraq and the Levant moved ominously close to Israel’s borders Wednesday, July 1 – not as predicted in the north, but in the south, from the Sinai Peninsula. There, ISIS followed up on its Ramadan terror outrages in France, Tunisia, Kuwait and Kobani, with a massive assault on Egyptian forces and reportedly capturing the northern Sinai town of Sheikh Zuwaid close to the Israeli and Gaza Strip borders. Confirmation of this would mean that the MFO facility at Gora is under ISIS siege. It would also mean that the Islamists had captured their first Egyptian town, a victory comparable to seizure of the Iraqi city of Ramadi. In the fierce 10-hour battle for the town, at least 200 Egyptian soldiers, terrorists and civilians were killed. Not just a terrorist attack, ISIS launched a full-scale military offensive, starting with mortar fire and suicide bombings against five Egyptian military checkpoints. Using a tactic similar to that employed in the capture of the Iraqi town of Ramadi last month, ISIS gunmen followed this initial assault by riding in on minivans, backed by heavy mortar fire, to storm the positions held by stunned Egyptian troops. Altogether some 20 Egyptian army positions were attacked in and around Sheikh Zuwaid. Egyptian troop reinforcements setting out from El Arish to the northeast to aid the beleaguered force, went up on mine and bomb traps secretly planted around their camps and police stations. Egyptian Apache assault helicopters striking the ISIS force themselves faced ground fire from shoulder-borne anti-air missiles. The Islamists are additionally said to have taken Egyptian prisoners as hostages. As the fighting grew fierce during Wednesday, Israel shut its border crossings with Egypt and the Gaza Strip, and sent reinforcements south in case the jihadis launched an attack on Israel from northern Sinai. Our military sources also report that US Middle East forces located in Jordan and at Sharm el-Sheikh are on the ready in case the Islamic State decides to attack the US officers and men at the Multinational Force (MFO) facility in Sinai, which is located near the Sheikh Zuwaid battlefield. The ISIS Sinai offensive is part and parcel of the reign of terror launched last Friday by Yassin Sahli when he beheaded his French boss, and Seifeddine Rezgui, who murdered 39 holidaymakers on a Tunisian beach. Standing ready for the Islamist offensive in Sinai were the jihadis of the Ansar Beit al-Maqdis, which recently declared Sinai a province of the Islamic State and took an oath of allegiance to Abu Bakr al-Baghdadi. ISIS draws on two additional major sources for its fighting manpower: the infrastructure it established in turbulent Libya for training and arming jihadis to cross the Egyptian border into Sinai; and the fatal attraction its radicalizing ideology holds for young Muslims who are taught that the brutal murder of Islam’s foes is a cleansing and purifying act. By now the whole world has heard of ISIS and their atrocities to mankind. ISIS is the original name given to this group of Islamic Jihadist and stands for Islamic State of Iraq and al-Sham (Abbasid Caliphate province in the region of Syria, or standing on its own refers to Damascus). Other names include IS and ISIL. Who is this group, where did they come from, and is there a connection to end time prophecy? Seemingly there is no end to the advancement of ISIL and their quest to take the Levant (The Levant today consists of the island of Cyprus, Israel, Jordan, Lebanon, Syria, Palestine, and part of southern Turkey). ISIL ha now taken the giant, hydroelectric Mosul Dam. If Baghdad falls, IS will control the whole country of Iraq. The IS has captured the hydroelectric dam on the Tigris River, which provides northern Iraq with power and is the largest in the country. Its failure could send a 65-foot wave across large areas of Iraq including a flood one meter deep in Baghdad. Also Thursday, Islamists overran 14 towns with Christian majorities in northern Iraq, putting tens of thousands to flight with an ultimatum: Convert to Islam or die. Church leaders have appealed for immediate help. IS has captured 2 more Iraqi cities and thousands of children are stranded without food or water. According to Lt. Col. Ralph Peters, terror group ISIS has occupied two Kurdish towns in northern Iraq, Zumar and Sinjar. Thousands are reported to have been forced to leave, Fox News reports. A map shown on America’s Newsroom on Monday now shows 17 cities completely taken over by ISIS in Iraq, Jordan, and Syria. Peters considers ISIS more than just a terror group now, becoming a more “well organized militia.” He also says that the Kurds are “the one people in the whole region we should be supporting”…..
ISIL has now entered into Lebanon taking the city of Arsal and moving ever closer to Israel. The radical Islamic terror organization, the Islamic State of Iraq and Syria (ISIS), has gained a larger foothold in Lebanon as it faces off against the Lebanese army. Hezbollah announced on Wednesday that for the moment, it has no plans to confront ISIS. Hezbollah leaders told the Lebanese Daily Star that it has only agreed to provide logistical support to the Lebanese army. However, should ISIS capture significant territory, Hezbollah leadership implied that it would enter the fray. Since Monday, Lebanese forces and members of ISIS have been squaring off in northern Lebanon. According to reports, ISIS has captured the city of Arsal. Today IS took over the city of Qaraqoush in Iraq, the largest Christian city in that country. Iraqi militants seized control Thursday of the country’s largest Christian city — reportedly telling its residents to leave, convert or die…. In 2009 at Camp Bucca in Iraq, a US military detention camp, Abu Bakr al-Baghdadi now leader of ISIL was released, but made a startling statement before he left. The Islamist extremist some are now calling the most dangerous man in the world had a few parting words to his captors as he was released from the biggest U.S. detention camp in Iraq in 2009. “He said, ‘I’ll see you guys in New York,’” recalls Army Col. Kenneth King, then the commanding officer of Camp Bucca. King didn’t take these words from Abu Bakr al-Baghdadi as a threat. Al-Baghdadi knew that many of his captors were from New York, reservists with the 306 Military Police Battalion, a unit based on Long Island that includes numerous numerous members of the NYPD and the FDNY. The camp itself was named after FDNY Fire Marshal Ronald Bucca, who was killed at the World Trade Center in the Sept. 11, 2001, attacks. King figured that al-Baghdadi was just saying that he had known all along that it was all essentially a joke, that he had only to wait and he would be freed to go back to what he had been doing. “Like, ‘This is no big thing, I’ll see you on the block,’” King says. King had not imagined that in less that five years he would be seeing news reports that al-Baghdadi was the leader of ISIS, the ultra-extremist army that was sweeping through Iraq toward Baghdad. ISIL continues to tear across Syria and Iraq leaving a deadly trail of brutality reminiscent of the Holocaust and which the media largely chooses to ignore. These terrorist are of a different breed and intend on ruling the Islamic world; that is if they could. ISIL has turned to internet media to spread their reign of terror and intimidation. What they are showing is brutality at its worse killing anyone, regardless of religion, that does not support their views. The Sunni Muslim extremist group formerly known as ISIS (Islamic State in Iraq and Syria) is using social media websites like Twitter and Facebook and video upload sites like YouTube and LiveLeak.com to strike fear across the Middle East as it wages its brutal campaign to create a caliphate that extends from northern Africa to Iraq. It is quite possible that ISIL will be responsible for some major Biblical prophecy fulfillment. They currently control a large swath of land from Syria to Iraq extending over 300 miles. Jordan has sent troops along its eastern border with Iraq in concern of a possible ISIL invasion after what they have done in Iraq. The Jordanian army probably would not be able to defend itself from a full assault by ISIL and would depend on US and Israeli forces to help. 2 The cities of Aroer are forsaken: they shall be for flocks, which shall lie down, and none shall make them afraid. Not only Damascus, but the cities of Aroer are destroyed. 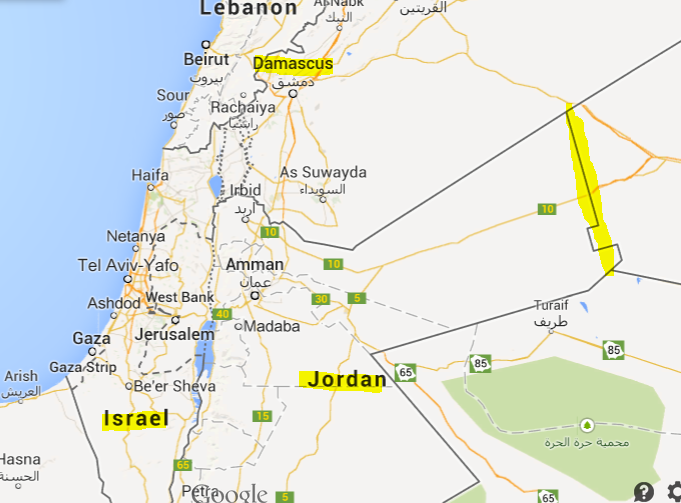 Biblical, Aroer is roughly the territory of modern day Jordan. The events of today are moving at light speed. Will we see this prophecy unfold in the very near future? Below is a very interesting article from the Daily News out of Turkey on how Islam views Islam concerning ISIL. It is worth the time to read. Part is posted below. The terror organization ISIL, or with its new name the Islamic State (IS), is it an “issue” reflecting social diseases? Or is it a “project” staged by imperialists to denigrate Islam? If we regard ISIL as an “issue,” then we will need to research with scientific methods to understand why these bigoted, savage movements emerge in Muslim societies from the Middle East to Afghanistan, to Pakistan. As bad as ISIL is, we already know they are defeated and we thank God for His prophetic, inerrant Word! Why does ISIS continue to destroy temples, tombs and even Muslim mosques wherever they go? What point are they trying to make? It’s strange that they would even destroy their own places of worship. But yet, there is a real reason behind it. They see themselves as a more ‘pure’ type of Islam and are out to destroy that which is not. What these groups are doing is based on an endemic Salafist principle common to most Salafist movements, whether they are jihadists or not. This principle underlines the need to purify the earth of polytheism and disbelief. These groups consider religious shrines or any other sites related to a certain person to be a kind of sanctification, which is, according to them, a true sign of polytheism. The destruction of these sites is part of the process of returning to the authentic Islam and eliminating all alien elements, according to the Salafist understanding. This contradicts the traditional understanding of Islam by all Muslim confessions, which means that Islam does not contradict other sanctities, but rather understands them and considers them sacred, especially when the people of these sacred places are prophets of the Quran, such as the prophets Jonah and Daniel and many others from both the New and Old Testaments. 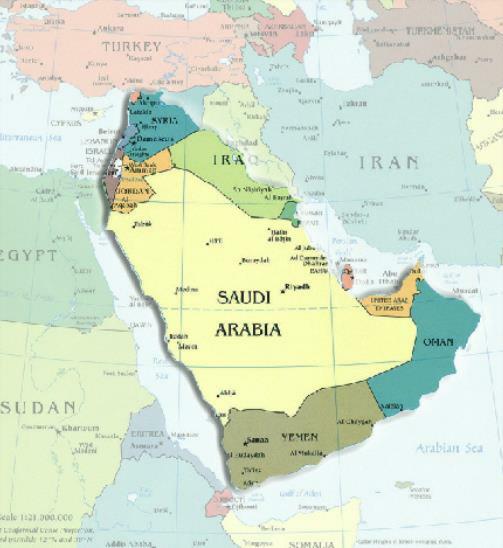 The destruction of sacred places also happened during the establishment of Saudi Arabia, which was described as the first political entity for Salafists in the Islamic world. 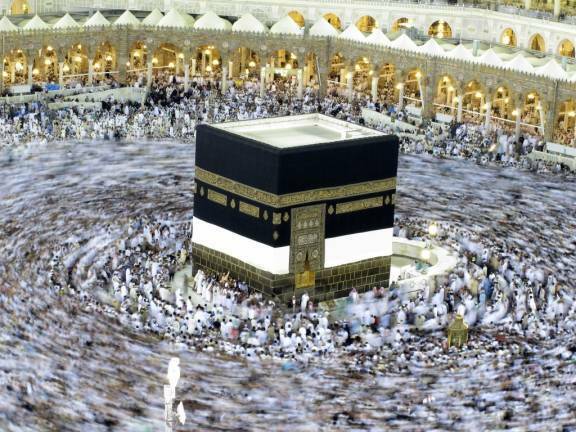 While it cannot be confirmed, ISIS has threatened to destroy the Kaaba or black stone in Mecca. It is the holiest site of all Islam. Men walk in a circle around the Kaaba. ISIS is leaving a path of destroyed churches, shrines and mosques in its wake as it storms across Syria and Iraq, and has even set its sights on Mecca — Islam’s holiest site. “They see themselves as the last defenders of Islamic civilization and want to eradicate anything that they see as the enemy of Islam, and any Muslim they perceive as compromising with the West,” Yvonne Haddad…. Will they attempt to do so and will they succeed? The following video was filmed in 2012 and although does not mention ISIS, it presents a very plausible scenario that ISIS could indeed at least attempt to do so with respect to what is happening in the Middle East today. The video is also packed with other Biblical facts and tidbits that make a very interesting view. Pay attention when Avi mentions the Arab Spring midway and particularly towards the end of the film. The land promised to Israel is much greater than what they poses today, and the day is coming soon when they will expand their borders. Watch the video for more information guaranteed to turn on ‘light bulbs’!